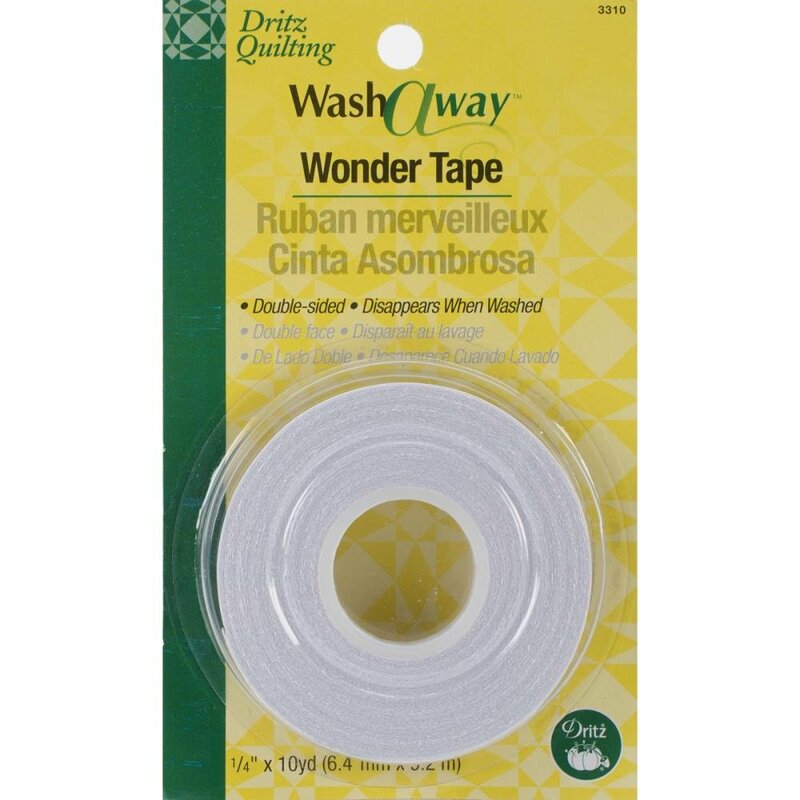 Wonder Tape : Wash Away - 1/4" x 10yds pkg. A double-sided transparent tape that can be stitched. Wonder Tape will not gum up on needles and completely disappears in the first washing. An alternative to pinning or thread basting.